One of the most pressing issues in adopting new software is having team members fail to adopt the software in their day-to-day lives. But, if this sounds familiar, you’re not alone — more than 50% of businesses fail to properly adopt and implement new software. Sales teams can especially be resistant to adopting new software and processes, which is why sales reps need to see how they’ll benefit from the software right away. It also helps to get early buy-in from this resistant group during the software selection process. 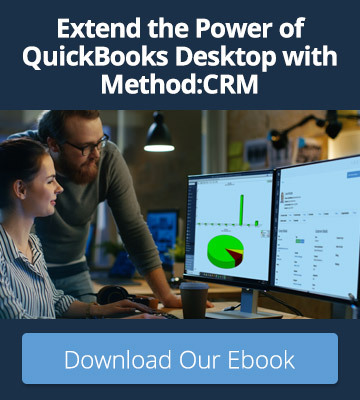 Method:CRM is a QuickBooks-integrated sales management software that creates streamlined processes, so you can increase sales and focus on growing your business. Sales reps can easily see who their hottest leads are, the history of each lead, and when to follow up with each lead. 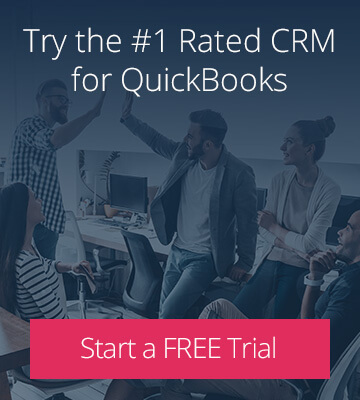 Sales reps can also create and send out Estimates to their leads without relying on someone with access to QuickBooks. When approaching your sales team, start with the benefits of dropping old habits and adopting a new solution. Position the move to a sales management software in terms of increased earning potential and decreased admin work — you’ll have a much better chance of getting them out of their comfort zone and using the CRM. Everyone on the team, from upper management to your newest sales rep, needs to support the decision to “work smarter, not harder” with the adoption for a sales management software to work. 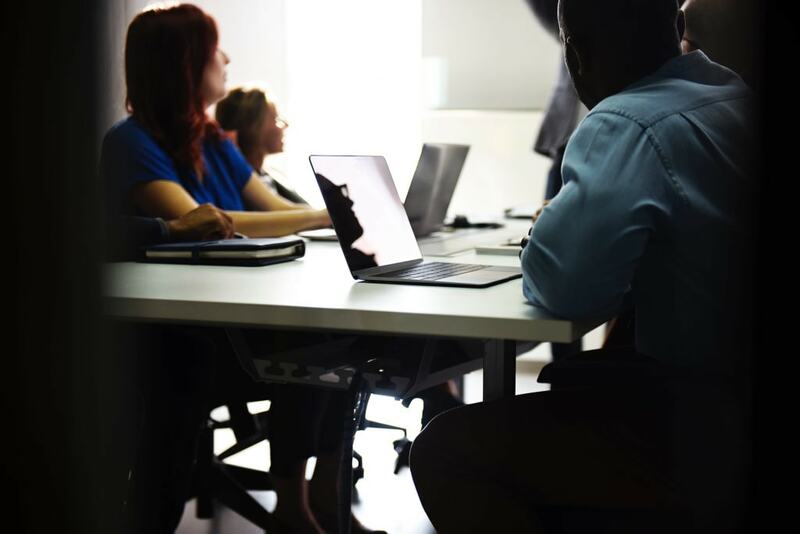 While providing value training and leveraging the software company’s team for your team’s onboarding, it’s crucial to listen to feedback from sales reps and break through their misconceptions. Your team may not like the idea of using a CRM, or they’ve had a poor experience using one in the past. Find out why so you can nip those concerns in the bud early on in the process. Introduce the CRM software and its benefits with a clear message. Don’t overwhelm or confuse your team by going into detail on all the bells and whistles of the software, just show how the CRM will benefit them as individuals and as a team. It’s also really helpful to show them the pains of the current process, whether that be disorganized data, time wasting processes, lack of customer knowledge, etc. They may experience these issues everyday and not even realize that there could be an easier way of working. Once the software is implemented, it’s important to ensure all of the sales reps are using it. This is the only way to collect data and measure the true value and impact of the new software. Keep supporting employees who are having issues, and keep a dialogue going. Here is a summary of the some of the mistakes we’ve talked about in this article. Avoid them when adopting new sales management software for your sales team. Investing in sales management software that doesn’t benefit the end user. Failing to educate and train your sales reps.
Not supporting or giving up on those who initially resist adopting the new software. Failing to clearly explain the benefits and of the new software. Not following through with the software. With your customer data and accounting transactions centralized in Method:CRM, each sales rep has a 360-degree view of each customer and lead. Sales Managers and CEOs love being able to see what each sales rep is working on in Method:CRM. With Method’s opportunity charts, you can review detailed data on all sales opportunities. With this insight, you’re able to constantly improve lead management by understanding how sales opportunities are lost or gained and which channels are generating the most leads. With sales reporting you’ll grow your business and outperform your competitors with insights that show you what you should focus doing more of, and what you should fix or eliminate.